A new archival collection, The Mark M. Ravitch Papers, 1932-1989, is now available at the National Library of Medicine for those interested in the history of surgery, surgical techniques, and pediatrics. An internationally recognized pediatric surgeon, medical educator, author, and historian, Mark Mitchell Ravitch was born on September 12, 1910 in New York City. He was perhaps best known as an expert on the correction of chest-wall deformities in children and as a pioneer in the use of mechanical suturing in surgery. Ravitch received a degree in zoology at the University of Oklahoma where he graduated Phi Beta Kappa in 1930 and determined to continue his scientific education in the medical field. After earning his M.D. 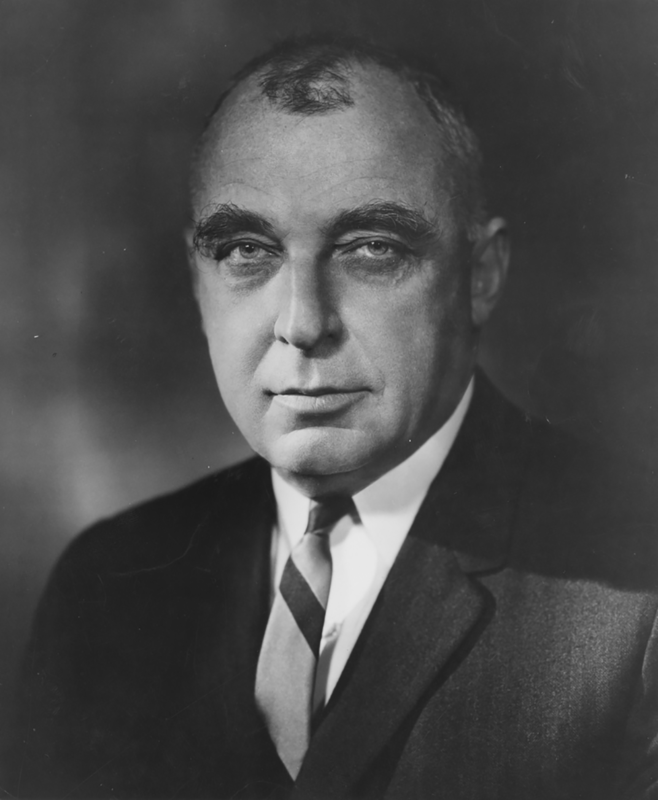 at Johns Hopkins in 1934, Dr. Ravitch remained at the school studying thoracic surgery and pediatrics under Drs. Dean D. Lewis, Edwards A. Park, Warfield M. Firor, and Arnold Rich. He concluded his training as a surgical resident under Dr. Alfred Blalock in 1943; the two developed a personal and professional relationship that lasted throughout Blalock’s lifetime. 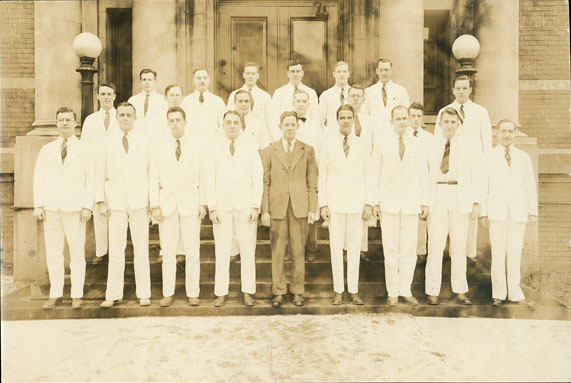 Ravitch, professor of surgery at the time, is in the front row, 4th from the left and to his left is Alfred Blalock. Another famous heart surgeon Denton Cooley is the last figure on the right in the 2nd row. Ravitch was commissioned as a major in the army during World War II where he directed a staff of surgeons at the 56th General Hospital. During the Battle of the Bulge, he continuously operated for 72 hours. In 1946 he resumed his career at Johns Hopkins as surgeon and professor of surgery. During the late 1940s he developed significant new techniques in pediatric surgery. These included a non-operative method for reducing pressure from intussusception via Barium enema and the operative correction of pectus excavatum (a.k.a., funnel chest) that became known as the Ravitch procedure. He left Johns Hopkins in 1952 for a four-year surgical professorship at New York’s Columbia College of Physicians and Surgeons and to direct Mt. Sinai Hospital’s department of surgery. He returned to Johns Hopkins in 1956 as a professor of surgery. Simultaneously, for ten years, Dr. Ravitch was also surgeon in chief for Baltimore City Hospitals. Use of Staplers in Surgery workshop flyer. MS C 616, Mark Ravitch Papers, Postgraduate course on stapling instruments, Fall 1973. Ravitch providing instruction during one of his stapling workshops at Montefiore Hospital, ca. 1975. MS C 616, Mark Ravitch Papers, Postgraduate course use of in staples in surgery, 1974-1976. Ravitch is often cited for importing and introducing modern stapling techniques in the United States for the first time after having observed their early development in Russia. In 1958, Ravitch was part of a National Research Council delegation to observe blood banking techniques when by chance he visited with Russian surgeon Nikolai M. Amosov who demonstrated the use of stapling instruments in pulmonary surgery. Ravitch believed such devices could be a time-saving replacement for hand-suturing during surgery in many circumstances and was the first to seriously experiment with them in a clinical setting in the United States. For the next several years, in partnership with Dr. Felicien Steichen, Ravitch tested and refined designs for surgical staplers. Leon Hirsch’s United States Surgical Corporation manufactured and marketed surgical staplers beginning in 1967. Staplers gradually became standard surgical tools. Dr. Ravitch joined the University of Chicago Medical School in 1966 where he taught surgery and headed the division of pediatric surgery. In 1969, he accepted a surgical faculty position at the University of Pittsburgh Medical School and was appointed surgeon in chief at the university-affiliated Montefiore Hospital. Ravitch continued to teach, as an emeritus, until his death on March 1, 1989. His surgical legacy as a founder of pediatric surgery as a specialty, as a surgical innovator, and for introducing the concept of surgical stapling in the U.S. is paralleled by his simultaneous contributions to surgical education and knowledge. Almost continually from 1957, Dr. Ravitch taught not only at his home institutions but also traveled throughout the country giving guest lectures and hosting workshops. He was an esteemed editor of surgical literature, serving on the editorial boards of nearly 20 medical journals and several textbooks. He authored A Century of American Surgery: The History of the American Surgical Association, documenting surgical developments in America from 1880 to 1980. Ravitch authored 453 articles, 22 books, and 101 chapters about contemporary surgery and medical history. Mark Ravitch died in 1989 in Pittsburgh, Pa. at the age of 78. The Mark M. Ravitch collection consists of over 115 boxes and documents Dr. Ravitch’s career as a pioneering thoracic and pediatric surgeon and developer of surgical stapling techniques through correspondence, administrative records, writings, motion pictures, and as an editor of numerous journals and textbooks. The collection is especially rich in patient records and correspondence related to his surgeries. Access to those portions of the collection are available by permission according to History of Medicine Division’s Access to Personally Identifiable Health Information policy. James Labosier is Associate Curator for the Archives & Modern Manuscript in the History of Medicine Division at the National Library of Medicine. Johns Hopkins Hospital Department of Surgery house staff, group portrait, 1946. This picture is miscaptioned, Mark Ravitch is not in this pictures he was intern-resident in the 1941-1942 class and is in that picture easily found elsewhere. Denton Cooley was quite tall and I believe he also is miscaptioned but less sure about that. Thanks for your comment and correction, indeed we had it wrong. The image in the post has been replaced with the correct file.